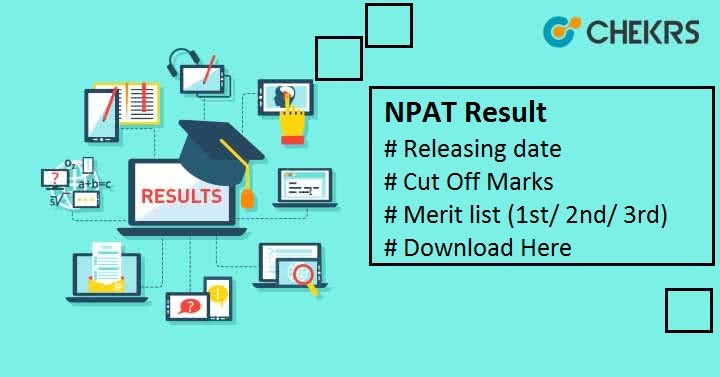 NPAT Result 2019: Result of NMIMS NPAT 2019 is expected in the month of May 2019. The Result will be uploaded on the official website but we will update them here also. Along with the result, set of Merit list will be also Released with some gap to each other. Last Year (in 2018) almost 5 Merit Lists was released by the authority for MBA Pharma Tech and B.Sc Economics. So the number of merit list is not really fixed and certain, it depends upon the vacant seats. Most of the Post exam Events will happen in between May to August 2019. We will update the list after the official dates. All the candidates can check their result by going through the below procedure. Visit the Official website npat.in. Now click on the Results 2019 Button. Which will be on the top bar. You will be redirected to Result portal. Now select your field/ program category like DESIGN, PHARMACY, ECONOMICS, LIBERAL ARTS, COMMERCE, or ENGINEERING. Now all the Notification will be listed just below it. Find the UPESEAT Result 2019. Click on it. Now you will need to fill all the asked details like NPAT 2019 ID and date of birth. Click on Submit. and hence your result will appear. Download, save and take a print of it. NPAT Cut Off Score will be announced on the official website. Candidates who have more than cut off marks will be listed in the merit list. First NPAT 2019 Merit List will be released along with the result. Second and Final (Third) Merit list will be released in between 2-3 weeks after the exam. If some seats remain vacant, then a new mark sheet will be released. Candidates having their name in these lists will be called for Counselling. The venue for the B.Tech and MBA (Tech) counselling will be NMIMS Mumbai campus. Counselling or selection procedure is an offline process and candidates have to present in person to participate in the Counseling/ Selection Process. NMIMS NPAT Counselling for B.Tech and MBA (Tech) will be conducted in Mumbai campus. To Appear in Counselling, Candidate must have to carry the admission letter which will be sent on their Mail. Candidates also have to carry all the required documents to the counselling center. In the Counselling, process candidates have to select a course and college in which they want to get admission. After it, Seat will be allotted on the basis of Score in Exam, Category, reservation, Seat availability and the document verification.